Home > Episode 392: Do Myth and History Inspire the Sequel Trilogy? 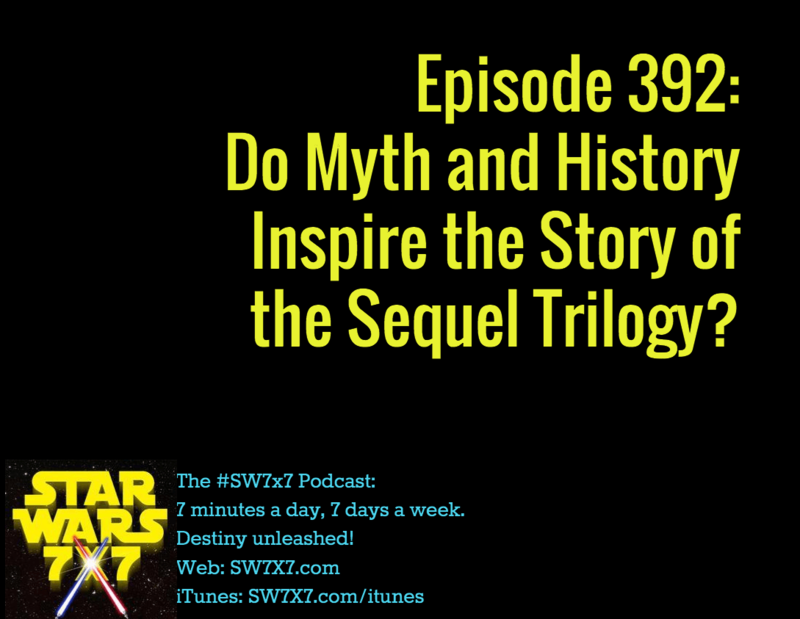 Episode 392: Do Myth and History Inspire the Sequel Trilogy? After spending the last two days talking about the historical influences on the Original and Prequel Trilogies, we consider the question: Will the Sequel Trilogy be influenced by real-world historical events, and by mythology as well? Because here’s the thing: George Lucas understands the story of Star Wars at that very-high level, and it’s vital to why the movies continue to resonate with people. But he said back in January 2015 that the movies being made are not “his movies.” And in the June Vanity Fair piece, it talks about J.J. Abrams and Larry Kasdan reworking the Michael Arndt script from page 1. So the big question is, do Abrams and Kasdan know and geek out about history and mythology enough to make a movie that’s going to resonate the same way as the originals? Because they can certainly tell a fun adventure story, but I think the jury’s out on whether they can hit something as lofty on their own, without someone like Lucas to guide the overall vision. What do YOU thinK? Have your say in the comments! Today’s question: Who hooked himself to the bulkhead before daring to open the Falcon‘s top hatch? Next Post: Episode 393: Trivia, Plus How Force-Strong Is Luke?